The British press has been making a big thing of negotiations on the 2011 EU budget for the past couple of days. David Cameron was apparently telephoning EU leaders yesterday, and on the eve of today’s summit claimed victory that the budget would rise 2.9% rather than the 5.9% proposed. About the lower increase Cameron said “the key point is, it wouldn’t have happened without our action”. Not so. Anyone who has ever looked at how the EU’s annual budget has been negotiated would have seen this pattern replicated loads of times. It’s a merry dance conducted between the institutions, and everyone knows the steps and the rhythm. 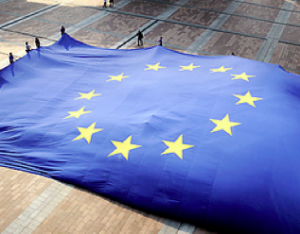 The European Commission proposes the budget for the coming year, and deliberately sets it high. The European Parliament likes to see the EU doing things, to generally agrees with the Commission. Then the Member States – the ones who pay 75% of the budget directly as contributions from national finance ministries – step in, and knock down the percentage rise. So everyone gets what they want, give or take a bit. Commission and Parliament get a bit more cash. Member States look like they are reigning in the Commission and Parliament. And Cameron claims he managed that all on his own? Rubbish. Merkel and Sarkozy have precisely the same incentives Cameron does and, you could indeed argue, incentives three times as high as Cameron’s. For 2/3 of any extra money the UK puts into the budget is going to come back to the UK in the form of the UK budget rebate anyway, and it’s not clear whether all the numbers Cameron and co are banding around take account of the rebate or not. As for the crux of the issue – the EU budget itself – then there is a good case for proper reform, but that will all happen when the financial perspectives are negotiated for the years beyond 2013. There some sparks are going to fly for sure. @Robert – first of all no tweets are included here. Second I am aware of the need to separate these things out, but there are so many technical shortcomings with the blog template that I need to redesign the whole thing and will take your comment into account when I do so. Problem is finding time for that redesign process! Jon: I wish you’d not follow this trend of mixing comments with linkbacks and tweets. It just comes across as an ego-trip and, in longer discussions, makes following comments more annoying (not going after you personally, just the impression I get from blogs that do this).